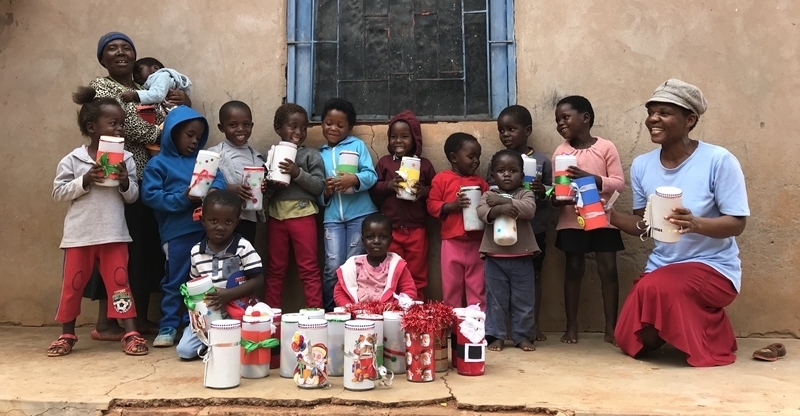 A big thank you to a group of mothers and children from Louis Trichardt lead by Magda Leeson, Anne McGaffin and Hestie Collet, put together Christmas tube-containers (useful for storage afterwards). 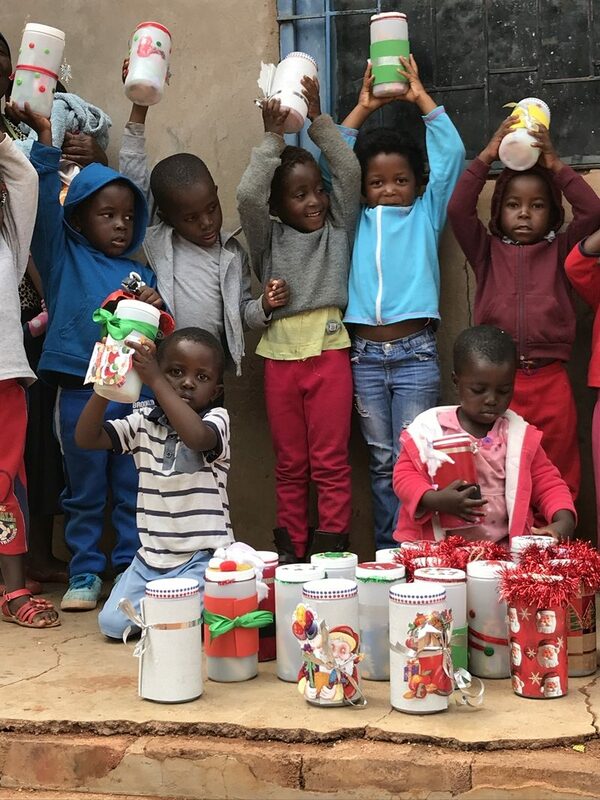 The tubes were donated by Ecoproducts Baobab Foundation and they were filled with little Christmas gifts for all the pre-school children. The mothers filled the tubes and decorated them with Christmas cheer. Sarah delivered them to Dambale Community Creche.